Scale insects swarmed the oak's branches until it looked as if they would overpower the oaks. 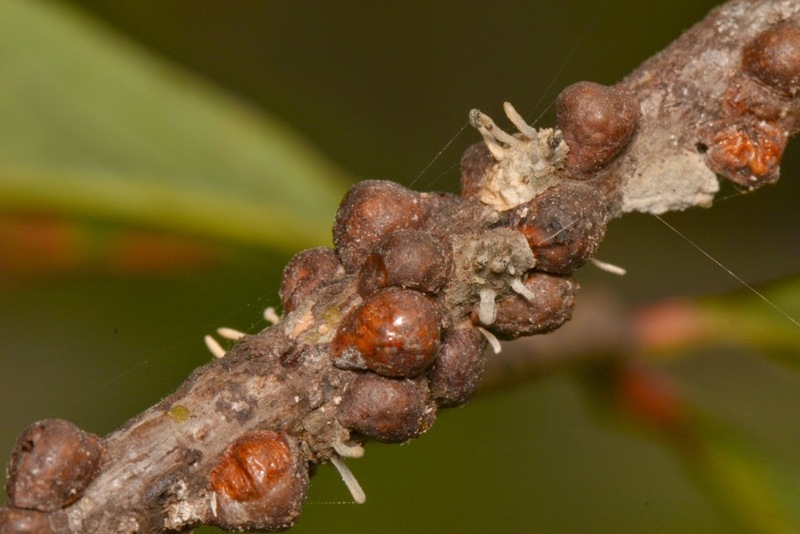 Then, the scale insects' enemies showed up in droves to conquer the scales. 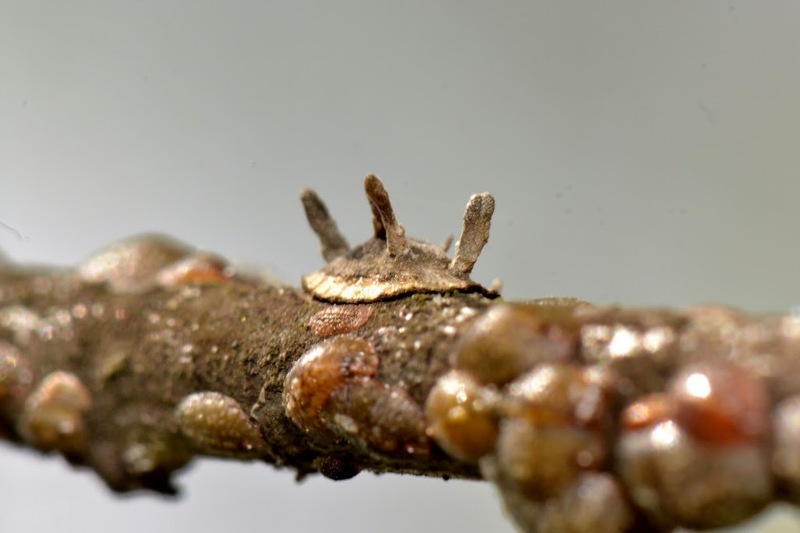 The scale insects' strategy was to multiply in overwhelming numbers. Their enemies' strategy was to one by one infect, eat, or destroy as many scale as possible. Who won the battle? 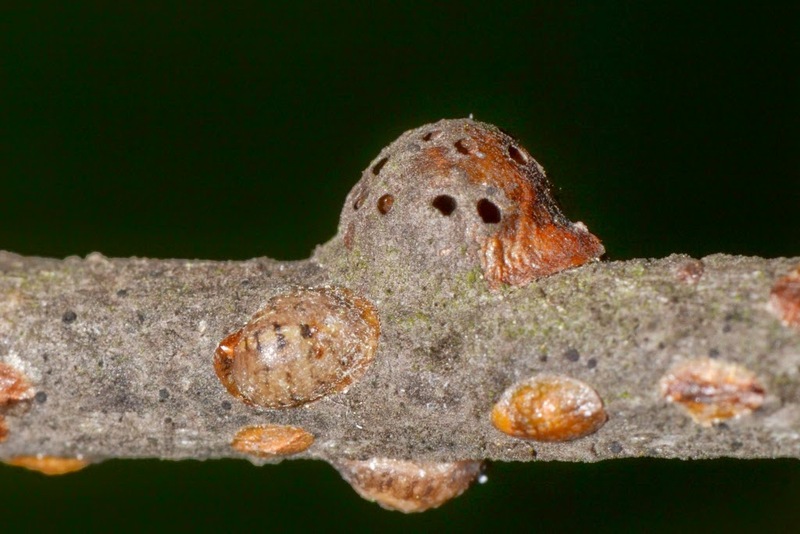 Here in this photo, the scale insects cover an oak branch and a Twice-stabbed Lady Beetle is laying eggs on the scale insects. Its larvae will feed on the scale insects. I posted about a scale insect infestation and the scale insect predators previously. Who won this battle for the oak branches? 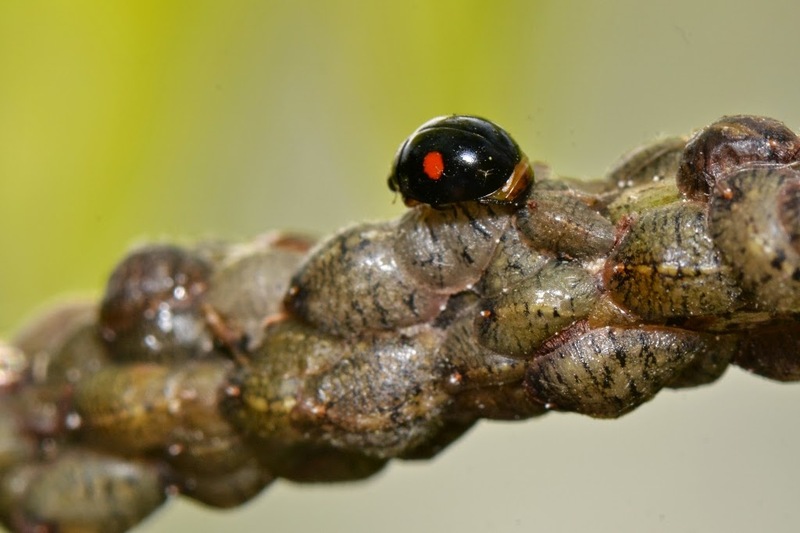 Did the scale insects win, or their enemies: the entomopathogenic fungi, tiny parasitic wasps, and other predatory insects (like the lady beetles) that prey on the scales? Here is an update on that epic battle with photos showing the carnage. 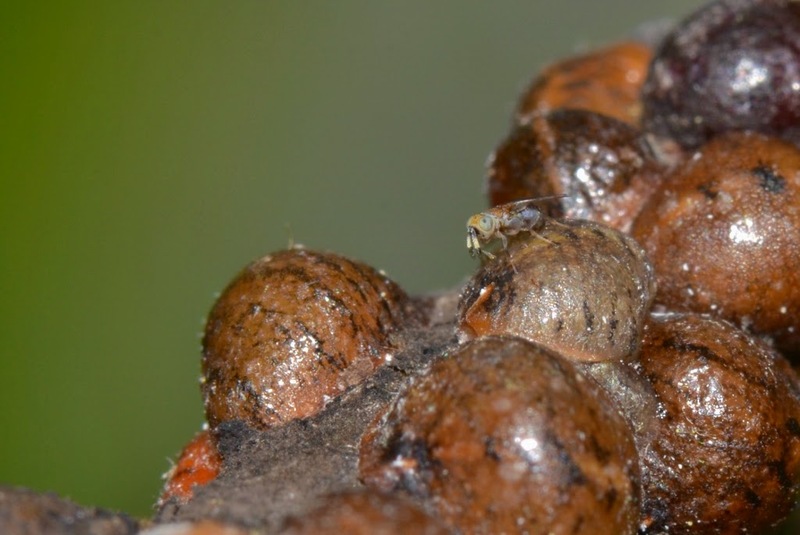 Fungal entomopathogen spores landed on the scale insects' cuticles and infected many of the scales, eventually killing and digesting them. 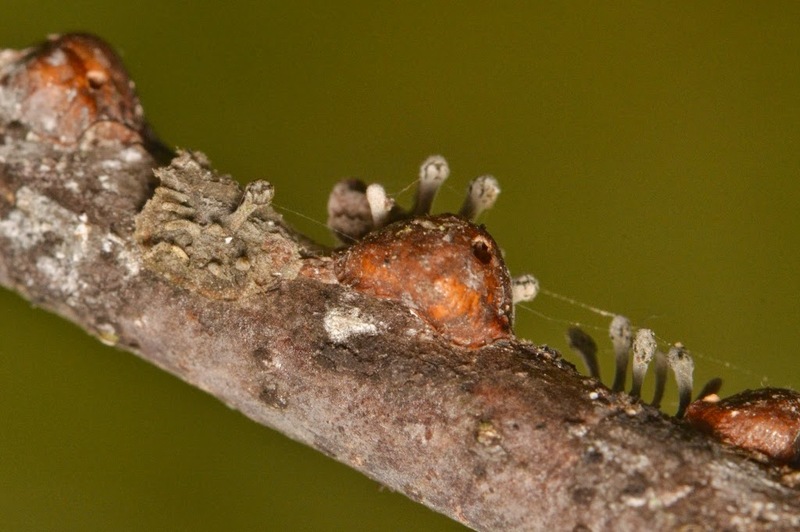 These two photos show fruiting-bodies growing post-mortem out of the parasitized scale insects. 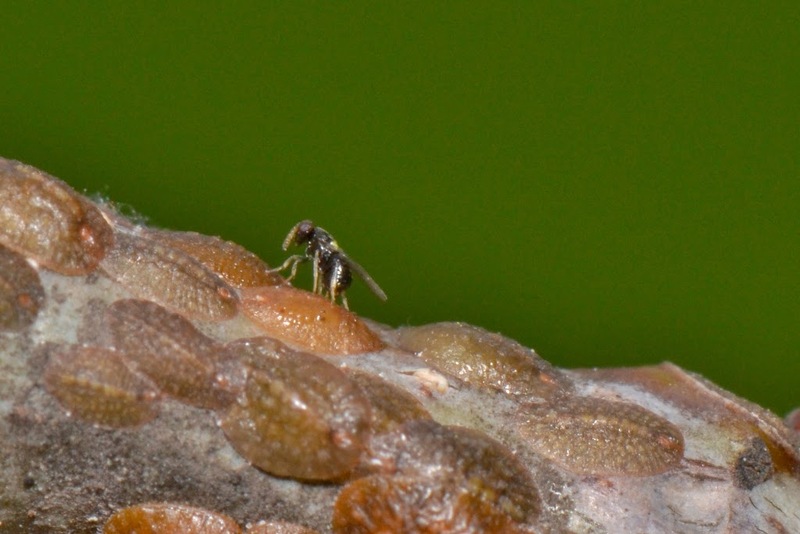 Other enemies of the scale insects were several species of tiny parasitic wasps. These next few photos show some of these parasitoids laying eggs on the scale insects. 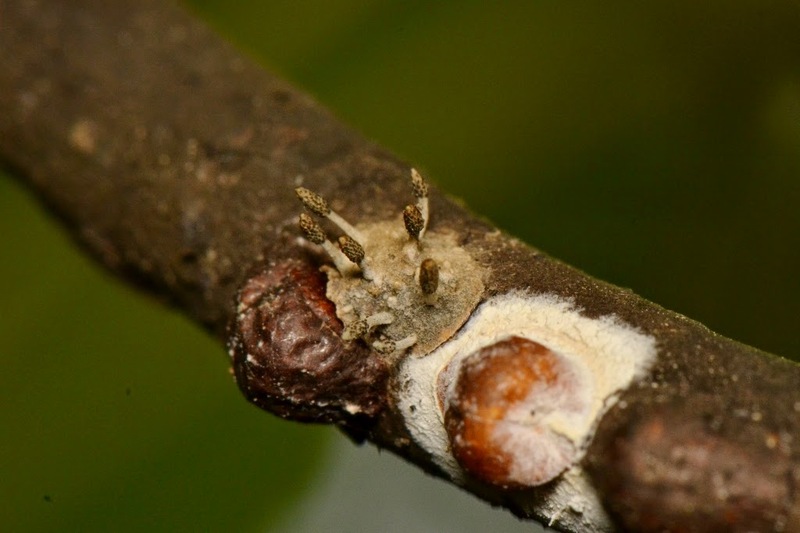 The tiny wasps had a big job scurrying around over the hordes of stationary scale insects and selecting suitable ones where they would lay their eggs. 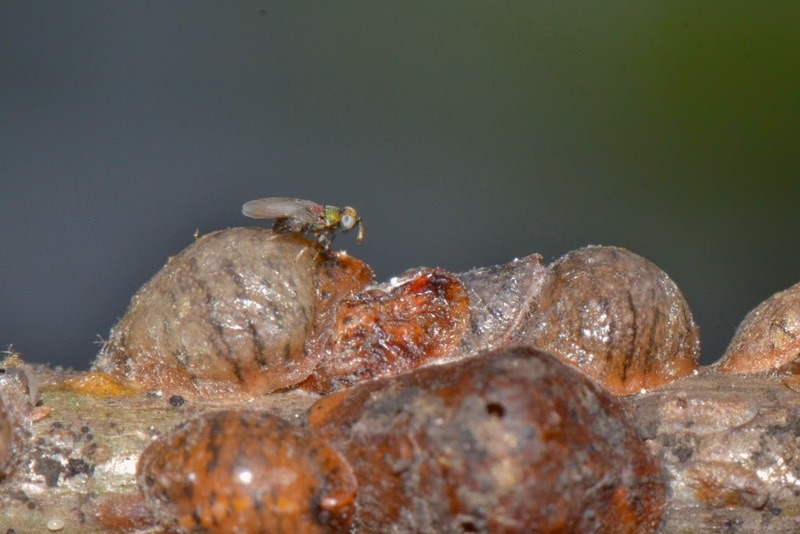 The wasps' larvae developed inside the scale insects as they fed on the scales or the scales' eggs. Here is a photo of a scale insect shell with plenty of exit holes from the mature wasps. .... as you can see, the scale insects' enemies won the battle. Excellent photos of something most of us never look for or see. All's well! I've been rather busy the last while, but I hope to be back soon.